I think with brush in hand! I create artwork for a variety of surface and textile design industries. My pattern collections are suitable for textiles, stationary, invitations, gift wrap, digital papers, home decor, wall art and more. 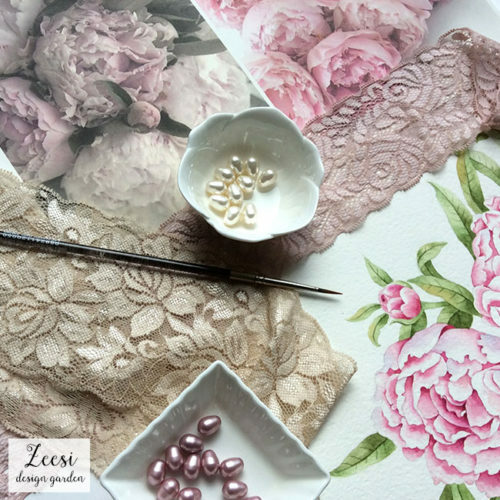 Pretty papers and textile designs that add beauty to your life. I paint in watercolors and gouache and am proficient in turning my hand-painted artwork into seamless patterns using either Adobe Photoshop or Adobe Illustrator. Botanical florals and objects from nature are my favorite subject. My style is highly detailed and classical. I thrive on working with art directors to develop collections starting with mood boards and color palettes. Then moving on to pencil drawing then hand painted color samples. And finally on to creating the pattern repeat block in preparation for printing. 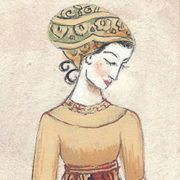 I received extensive training in painting and drawing from the Silvermine College of Art, in New Canaan Connecticut, the Art Student’s League – where I studied with master watercolor artist Mario Cooper and received my degree in surface/textile design from the Fashion Institute of Technology in New York. I love collaborating with different brands to bring product and pattern to life. Contact me through my contact form.